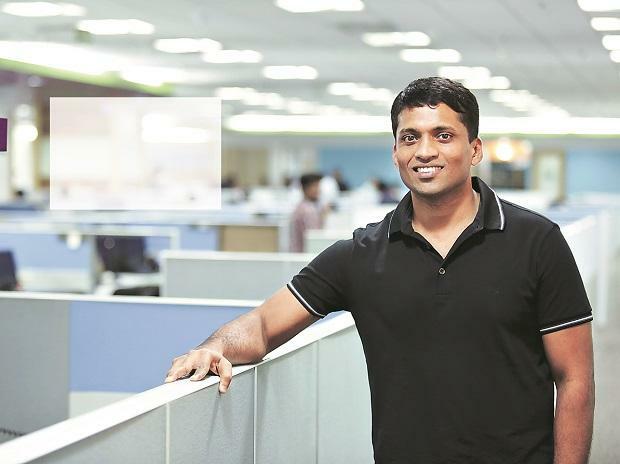 Edtech company Byju’s has raised an additional funding of $31 million (around Rs 214 crore) in a financing round led by US-based growth equity investor General Atlantic (GA), along with Chinese internet giant Tencent. The investment takes the valuation of the Bengaluru-based company to over $5 billion, from $3.6 billion when it raised $540 million in a funding round led by South African conglomerate Naspers in December. Canada Pension Plan Investment Board (CPPIB) had also participated in that round. According to regulatory documents sourced from business signals platform paper.vc, GA had invested another Rs 173 crore, while Tencent invested Rs 41.63 crore, giving Byju’s a post-money valuation of Rs 37,155 crore ($5.38 billion). “This indicates that Byju’s may be preparing to raise more money at a significantly higher valuation, leading GA and Tencent to do a pro-rata in order to maintain their percentage holdings,” said Vivek Durai, founder of paper.vc. A Byju's spokesperson declined to comment on this funding round. Byju’s has raised a total of $795.5 million in funding over nine rounds, according to data platform Crunchbase. The proceeds are expected to help the Byju Raveendran-founded company invest in technology-enabled learning products, and in expansion into international markets. The firm has already formulated plans to foray into markets such as the US, the UK, parts of Europe and Australia, targeting the age group of 3-8. In India, it is expanding its bouquet of products by catering to grades 1-3, in addition to the 4-12 segment, where it is already present. The edtech firm has also made four acquisitions so far, the most recent being that of Silicon Valley-based educational gaming start-up Osmo, which it bought for around $120 million in January. The acquisition got Byju’s access to different market segments. It is preparing for launch in a few global markets, especially North America, English-speaking and Commonwealth countries, and even in Asia, from June. Osmo’s products, which have evoked a huge response in the US, are expected to play a big role. Besides that, Byju’s is looking to get on board another financial investor to help it gain access to some of these markets, especially in Asia. This is expected to happen immediately after its global launch. Byju’s has a base of 30 million free users and 2 million paid users. Recently, the firm announced it is on path to achieve a revenue mark of Rs 1,400 crore by this month. The global online education market is projected to reach a total market size of $286.62 billion by 2023, increasing from $159.52 billion in 2017, according to a report Global Online Education Market by Research & Markets.